Due to the impacts of commercial fishing on elasmobranchs, future research and management necessitates reliable and accurate information on life history. For females, maturity assessment is limited to dissection, and it is not desirable to be removing large numbers in order to assess the reproductive characteristics of a population. 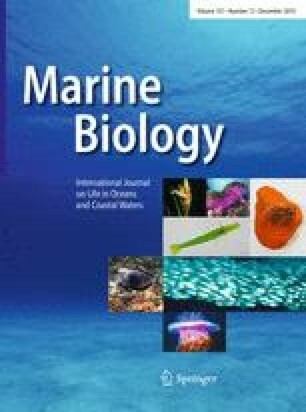 The present study evaluated ultrasonography as a potential, non-lethal method for assessing the maturity status of two oviparous elasmobranchs, the thornback ray (Raja clavata) and small-spotted catshark (Scyliorhinus canicula). Ultrasound permitted visualisation and measurement of the ovary in R. clavata, and the shell gland, ovarian follicles and egg capsules within the oviducts for S. canicula. With the exception of the ovary in R. clavata, the dimensions of these structures on the sonograms were directly corroborated by in situ measurements, and ultrasound was verified as an accurate and reliable method of making quantitative and qualitative assessments of these internal reproductive structures. The authors would like to thank the Captain and crew of the R. V. Prince Madog, along with Mr. G. Parry-Jones and Mr. B. Roberts, for collection of fish used in this study, Mr. G. Hughes for technical assistance, and two anonymous referees for their helpful comments on the manuscript. Many thanks are also extended to Dynamic Imaging Ltd and Mr. G. Frasier for ultrasound technical support. This study formed part of MSc theses which were submitted by C. Bloomer (2005) and G. Hanna (2006) to Bangor University. This project was supported by a small research grant from the Fisheries Society of the British Isles (FSBI) to J. Whittamore and I. McCarthy.